I wonder sometimes how common intergenerational friendships are. In our culture, we stick strongly to our own age cohorts and maybe that’s a little unnatural. At the tender age of seventeen I was blessed enough to befriend Sherry, the 40-something owner of The Paperback Place, where she peddled fantasies out of a converted garage to bored high school kids and women shopping for a pick-me-up for their boyfriends in the county jail down the road. 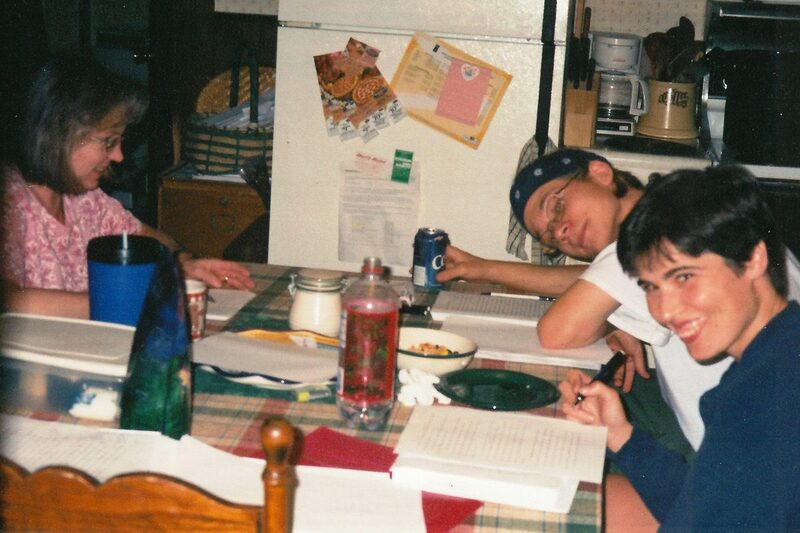 Ours being a small town, Sherry was already my mom’s friend, but I stole Sherry from her and we tooled around in our writer’s group during some of my most formative years. Understand: Sherry was cool. Not in the idiot way an adult is made cool on the Disney Channel, all motorcycles and dark sunglasses and other such wankery. Sherry knew how to live. The thing about having an adult, all-the-way-grown-up friend who will nerd with you is that you realize you can do what you love forever. Yes, I had to be (slightly more) buttoned-up with my adult friends, who also included Sherry’s writing partners, Gloria and Laura. But these women taught me the delicate dance of maturity—how to be adult without being too respectable; dressed up but irreverent. They were wise enough to deprogram a dozen misconceptions my teenage brain had about women, and I’m convinced no male should be permitted to leave high school before a woman over 40 makes him tell her all his crackpot theories and dispatches them. And to whatever extent I can write, it is Sherry’s doing. Unlike so many older artists who never saw professional success, the cynicism never got her. Unbroken, she encouraged me; when I knew nothing, she taught me, insisted I only needed polish. This work has come a long way—longer than most of my books. It was the final book I wrote under the tutelage of Sherry and Gloria, two of my mother’s friends who I stole from her. Imagine, if you will, a group of longtime bibliophiles and dedicated romance writers in their middle years whose lives are interrupted by an incorrigible seventeen-year-old loudmouth intent on filling page after page with lovingly detailed scenes of extreme violence and shapeshifting cats. I owe everything I write to these women and to all the others who were there—including Laura, Elaine, and my mother. Together, they shepherded me through my very first wretched scribblings, and though geography now separates us, I will never forget the Purple Pen of Doom. Sherry (left), hard at work with the Purple Pen of Doom. I (center) was an RC Cola fan still working on my glorious Jesus hair. Gloria (right) isn’t reading my stuff–you can tell because it doesn’t look like a rainbow vomited grammatical marks onto it. Oh no! I’m so sorry to hear that, I did love stopping in to see her when I lived in Sharon!